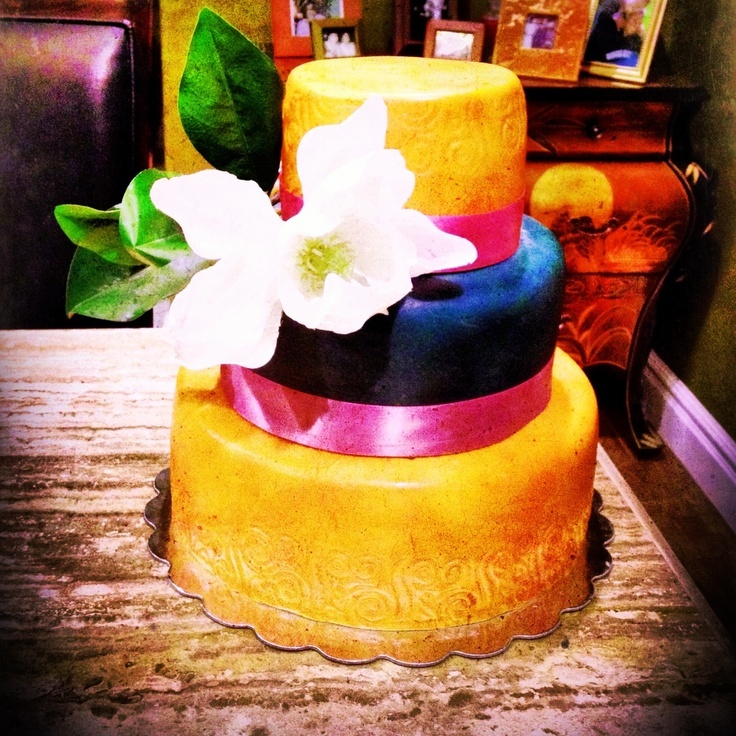 Fall in Love: Wedding Series – Cakes! Traditional white cake with a modern flare! What I love about this type of cake is that it can be used for any theme. 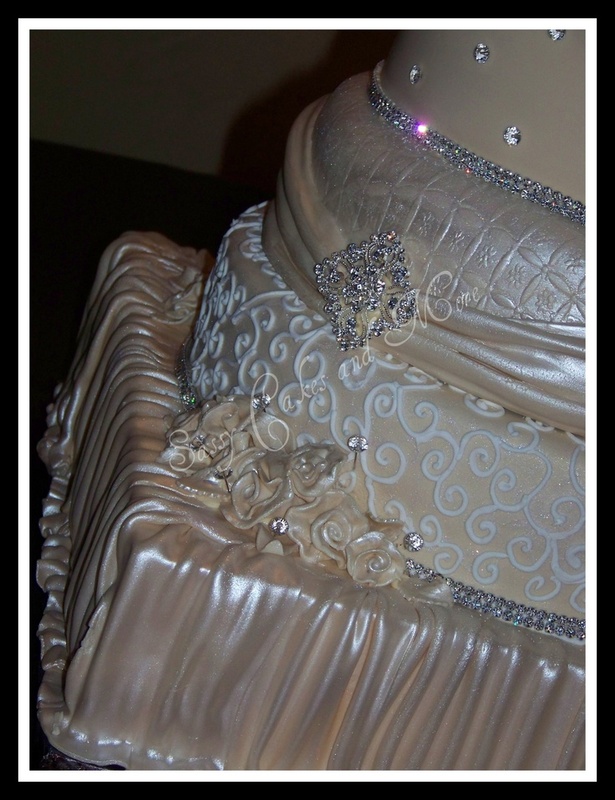 Adding gems and jewels to cakes and adding the bronzer effect is becoming quite popular. 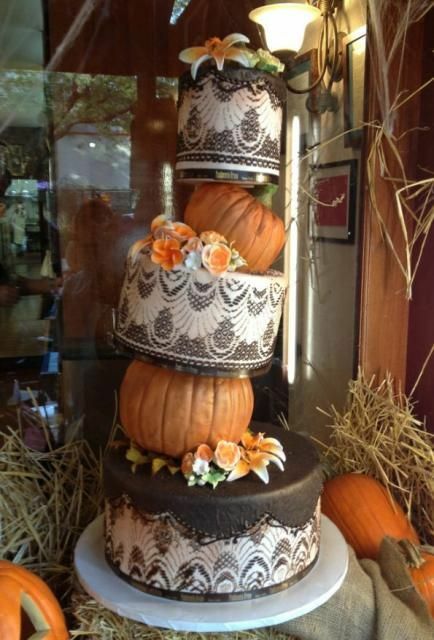 If you really want to show off your Fall theme, incorporate pumpkins and leaves like these cakes. 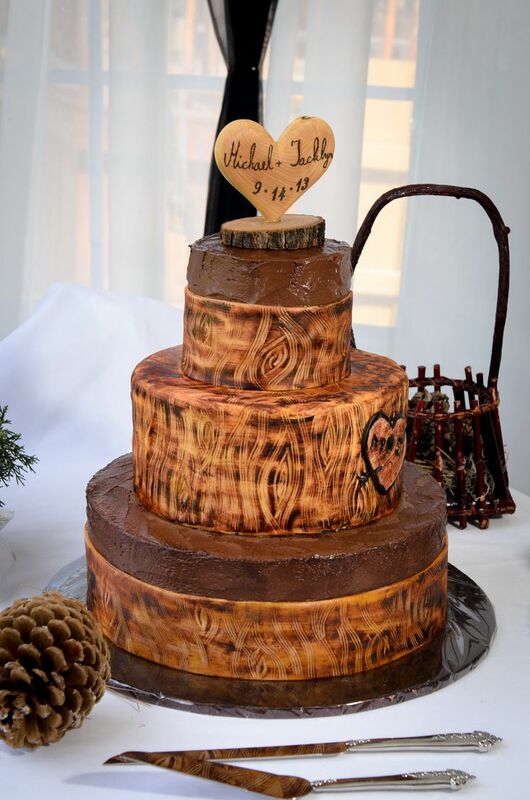 I love the fact that you can be extremely creative with cakes and do whatever you like….especially making your cake look like tree bark with your names engraved on it! Lastly, who says Fall themed weddings have to be filled with reds and oranges? Defy the norm and go for bright, bold colours like fuchsia, yellow and royal blue, and add rustic elements to it, such as Fall flowers.